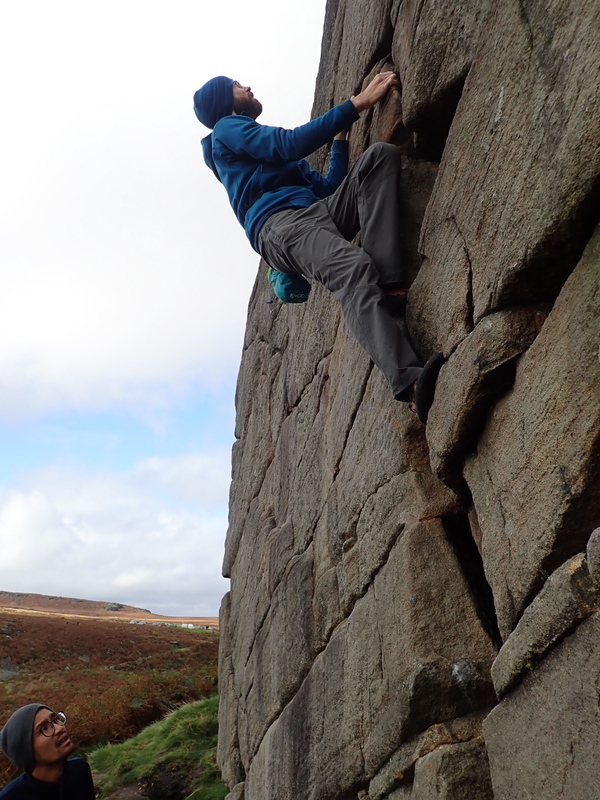 What a great weekend of climbing in the Peak District. 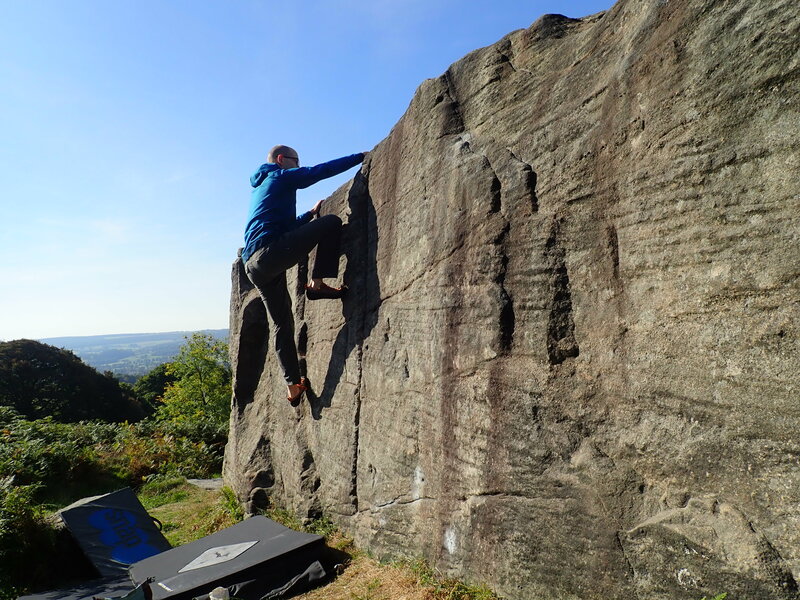 I did a selection of varied and interesting climbs, the sun shone (mostly), it wasn’t raining (mostly) and there was enough of a breeze to keep the midges at bay. 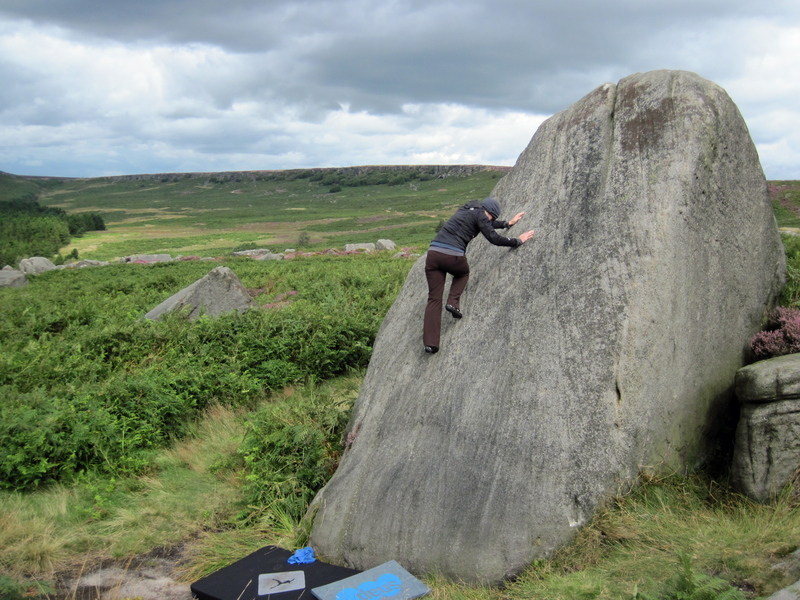 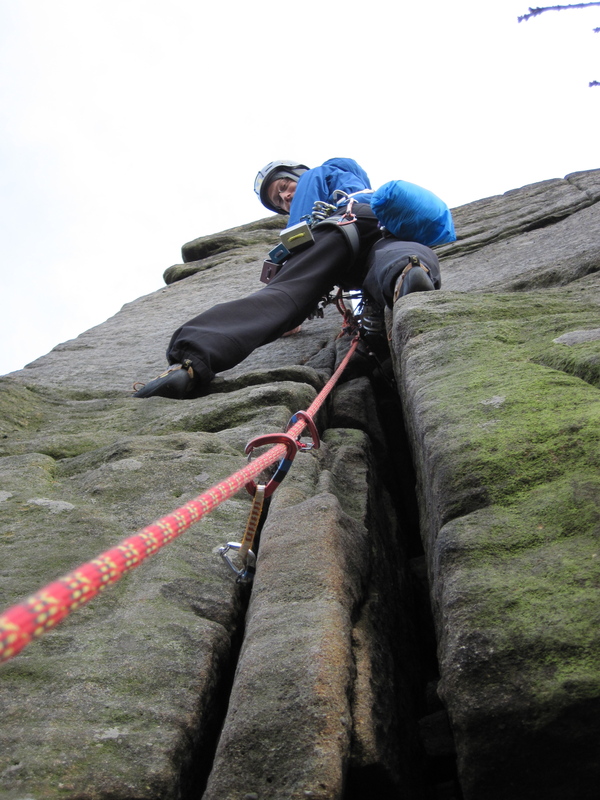 Me seconding Ash Tree Crack (VDiff) at Burbage.